Track your leads and manage your client data. Some of the features include: Campaign Management, Telemarketing, Marketing, Sales, Lead & Opportunities Management, Service Desk, Mobile Apps and Customer ePortal. 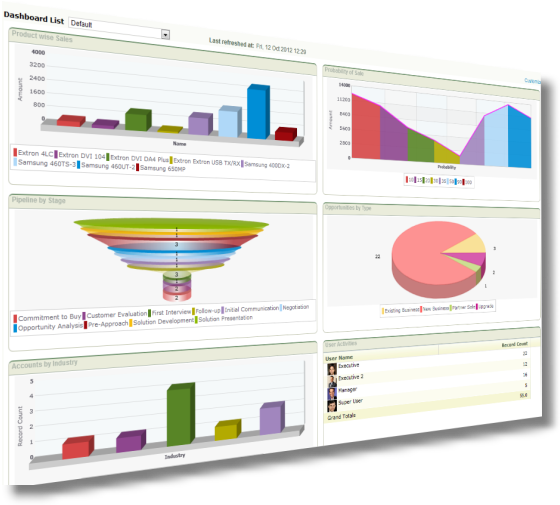 Focus FMS is a platform that allows you to manage all the aspects of units and facilities. Be it a facilities management company or a maintenance provider, the entire process is captured, driven and monitored on the go. Some of the features include: Campaign Management, Telemarketing, Marketing, Sales, Leads & Oppurtunities Management, Call Center, Service Desk, Service Level Agreements, Asset Management, Facilities Management, Preventive Maintenance, Mobile Apps and Customer ePortal. Focus PMS is a robust solution that enables quick and efficient services to customers, delivering unmatched experience. Be it a corporate or an individual, the requirement of a property to be sold or purchased or given out on lease in today’s concrete jungle is accomplished with ease if you have Focus PMS. Some of the features include: Marketing, Sales, Leads & Oppurtunities Management, Bookings, Vacancy Management, Payment Management, Contracts Management and Customer ePortal.